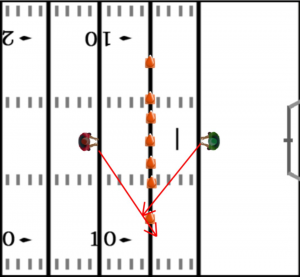 This drill focuses on reading and plugging up gaps before the ball carrier can get out into the linebacking core or secondary. Set up seven cones, giving the offensive player 6 holes to choose from. On your signal, the offensive player will choose a side, and hit one of 6 holes hard, trying to get beat the defender. 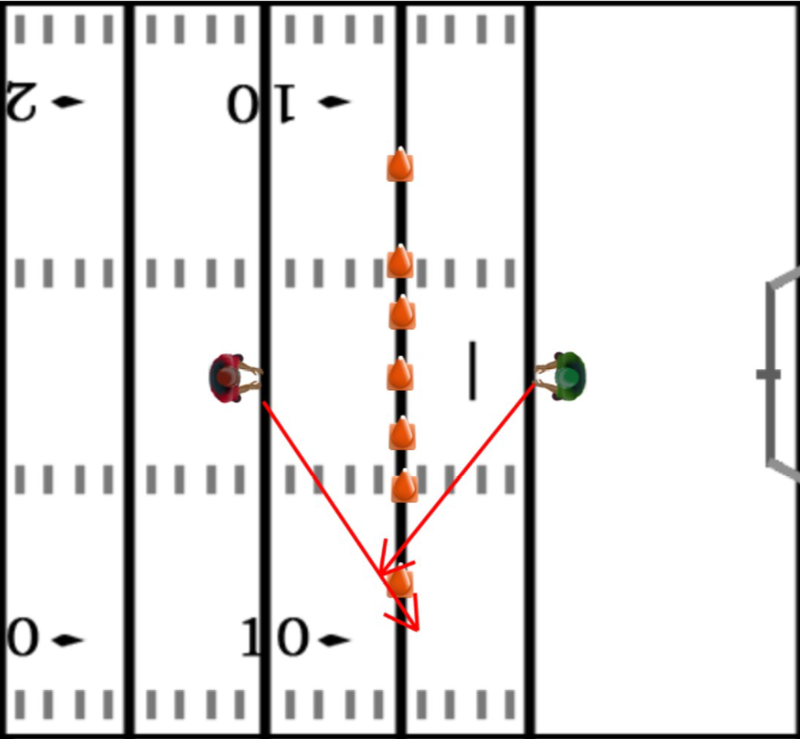 The defender is going to take a more shallow angle in this drill, trying to discourage the offensive player from using the inside holes and bumping them out to one of the outside holes, and tagging them immediately.